The anti-Assad coalition led by the United States continues to stagger toward the supposed objective of beginning peace negotiations between the Syrian government and what has now been blessed as the politically acceptable “opposition.” The first such meeting was scheduled for Jan. 1, but no one on either side believes for a moment that any such negotiations are going to happen any time in the foreseeable future. The notion that negotiations on a ceasefire and political settlement will take place lacks credibility, because the political-military realities on the ground in Syria won’t allow it. Those opposition groups that are prepared to contemplate some kind of settlement with the Assad regime do not have the capacity to make such an agreement a reality. And those organizations that have the capacity to end the war against the Damascus regime have no interest in agreeing to anything short of forcible regime change. 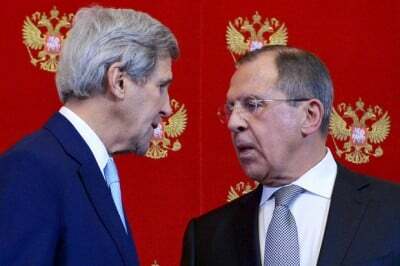 On top of those serious contradictions, Russia is openly contesting the U.S. plan for a negotiated settlement. The United States is pushing the line that President Bashar al-Assad must step down, but Russia is insisting that such a demand is illegitimate. The contradiction between the pretensions of the U.S.-sponsored plan and Syrian political-military realities was very much in evidence at the Riyadh conference earlier this month. The conference, which was supported by the United States and the other “Friends of Syria,” including Britain, France, Turkey, Qatar and the UAE, was in theory to bring together the broadest possible range of opposition groups – excluding only “terrorist” groups. Belying that claim, however, the Kurdish Democratic Union Party (YPD) being armed by the United States in Syria was excluded from the conference at the insistence of Turkey. A key objective of the conference was apparently to bring Ahrar al-Sham, the most powerful opposition military force apart from the Islamic State, into the putative game of ceasefire negotiations. But inviting the organization was bound to backfire sooner or later. Ahrar al-Sham has been closely allied with al-Qaeda’s Syrian franchise, al-Nusra Front, both politically and militarily. Moreover, it has explicitly denounced the idea of any compromise with the regime in Damascus. Ahrar al-Sham showed up at the conference, but refused to follow the script. The representative of Ahrar al-Sham called for “the overthrow of the Assad regime with all its pillars and symbols, and handing them over for a fair trial.” That is not exactly the game plan envisioned in the negotiating process, which assumes that Assad must leave after a transitional period, but that the government security institutions would remain in place. On the second day of the conference, Ahrar al-Sham’s representative announced that the group was leaving, complaining that the conference organizers had refused to endorse its insistence on the “Muslim” identity of the opposition. The Ahrar al-Sham refusal to play ball was the most dramatic indication of that the entire exercise is caught in a fundamental contradiction. But it wasn’t the only case of a major armed organization whose attendance at the Riyadh meeting raised the obvious issue of conflicting interests. Jaysh al-Islam is a coalition of 60 Salafist armed groups in the Damascus suburbs whose orientation appears to be indistinguishable from that of Ahrar al-Sham. The coalition is led by Salafist extremist Zahran Alloush, and has fought alongside Ahrar al-Sham as well as al-Nusra Front. Last April, Alloush travelled to Istanbul, where he met with the leader of Ahrar al-Sham. Like their close allies, moreover, Alloush and his coalition reject the idea of a political settlement with a secular Syrian state authority, with or without Assad. If it is so obvious that the Riyadh conference and the larger scheme for peace negotiations are not going to come to fruition, why has the Obama administration been pushing it? The explanation for what appears to be a lost cause can be inferred from the basic facts surrounding the administration’s Syria policy. First, the administration adopted the objective of regime change in Syria in late 2011, at a time when it was convinced that the regime was on the ropes. And although it has partially backtracked from that aim by distinguishing between Assad and the institutional structure of the regime, it cannot back off the demand for Assad to step down without a humiliating admission of failure and major domestic political damage. Second in its pursuit of that regime change policy the administration allowed its Sunni regional allies – especially Turkey and Saudi Arabia – to do things that it wasn’t prepared to do. Obama tolerated Turkish facilitation of foreign fighters and Turkish, Qatari and Saudi funneling of arms to their favorite Islamist groups. The result was that Islamic State, al-Nusra Front, Ahrar al-Sham and Jaysh al-Islam emerged in 2013 and 2014 as the main challengers to the Assad regime. But the White House has officially maintained its distance from al-Nusra Front and Ahrar al-Sham, while continuing to collaborate closely with Sunni allies, as they have provided financial support to the “Army of Conquest” command dominated by al-Nusra Front and Ahrar al-Sham to help the forces under their leadership gain control of Idlib province and pose the most serious threat to the Assad regime thus far. And the third fact about the policy is that the Obama administration embarked on its campaign of illusory peace negotiations with little more than one year left before Obama leaves the Oval Office. The obvious implication of these facts is that the ostensible push for a ceasefire and peace negotiations is a useful device for managing the political optics associated with Syria during the administration’s final year. If it is not questioned by media and political elites, the administration will be able to claim both that it is insisting on getting rid of Assad and at the same time moving toward a ceasefire and political settlement. Never mind that claim has nothing to do with reality. Being the dominant power, after all, means never having to say you’re sorry, because you don’t have to acknowledge your responsibility for the terrible war and chaos visited on a country because of your policy.